Cool, very funny. Really scary. Does it also come with a detachable nose? It looks so real ;-), It would even scare the hell out of me!!! 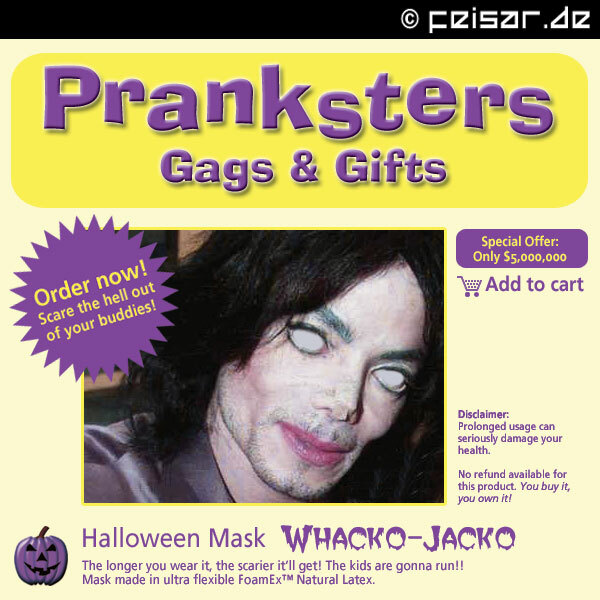 It is back, "Jacko the R..."
Wer ist denn das ?? oh mein gott ist der hässlich! wie kann man sein gesicht nur so verunstalten!